Thank you to everyone who visited our second annual MPavilion, and to the hundreds of creative collaborators who helped bring the 2015/16 program to life. We’re proud to have presented 419 free events at MPavilion this season, and welcomed just over 76,000 visitors to talks and lectures, music and dance performances, walks, workshops and at least one full moon ritual. It’s been an action-packed 126 days, and we’ve been thrilled to collaborate with more than 300 architects, designers, teachers, writers and cultural institutions across this season’s MTalks, MMeets and MMusic events. Special thanks go to our international guests—in order of appearance—Amanda Levete (AL_A), Martin Roth (Victoria and Albert Museum), Ben Evans (London Design Festival), Mami Kataoka (Mori Art Museum), Natalie Jeremijenko, Anida Yoeu Ali, Xavier Le Roy, Dr Stephanie Rosenthal (Hayward Gallery), Tom Bloxham (Urban Splash), Chen Qiulin and Oluwaseyi Sosanya. This season, we were excited to see AL_A’s boundary-pushing design named as one of Wallpaper* magazine’s “fifteen installations that capture the global imagination”, and featured in Designboom’s top ten temporary structures of 2015. The carbon-fibre stems and composite petals of MPavilion 2015 will soon take up permanent residence at a new location, thanks to the City of Melbourne, making room for the next architectural commission—to be unveiled in October this year. For a stroll down memory lane, click through the photo diaries from each month of our 2015/16 season in the Queen Victoria Gardens: October, November, December and January. 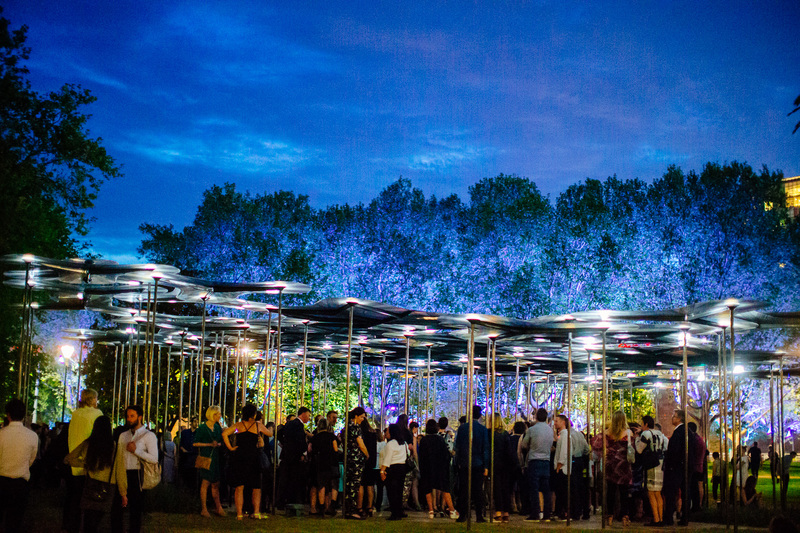 And feel free to tag us in your favourite #MPavilion photos! 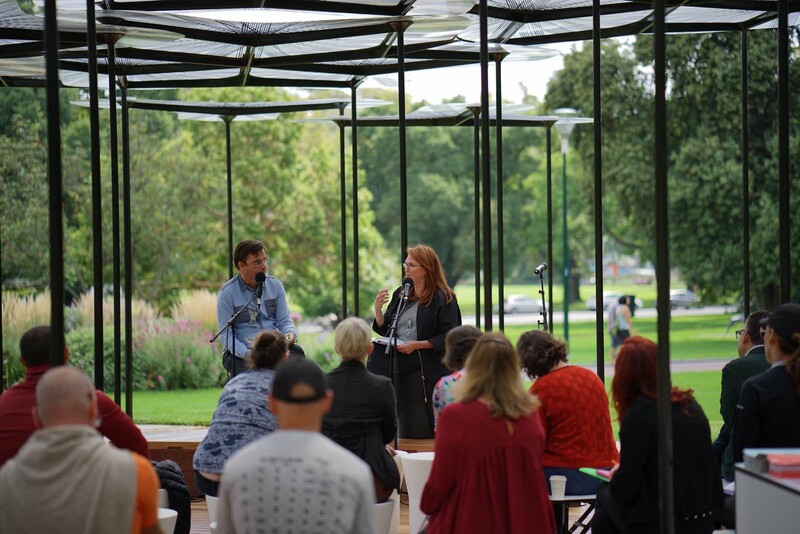 Stay in touch for updates on Facebook, Twitter and Instagram as we upload audio versions of this season’s MTalks discussions, and get ready to reveal the design and program for MPavilion 2016! 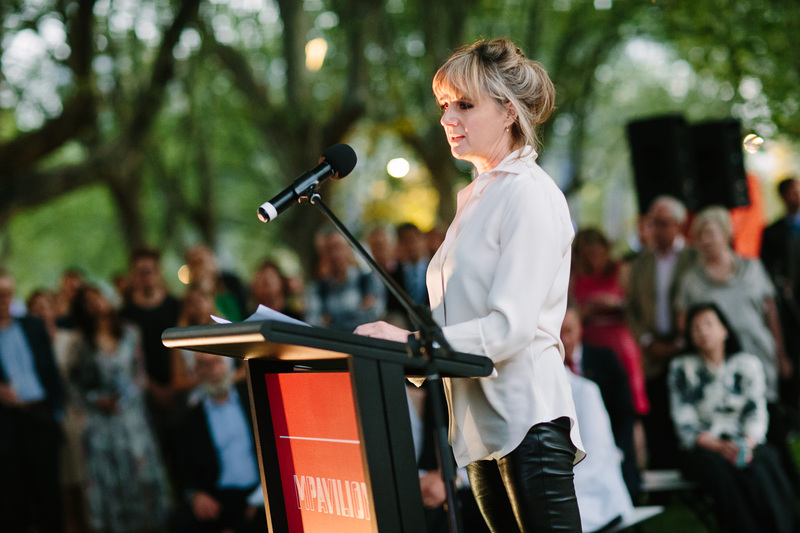 Architect Amanda Levete of AL_A, UK, opens MPavilion 2015. Photo by Timothy Burgess. 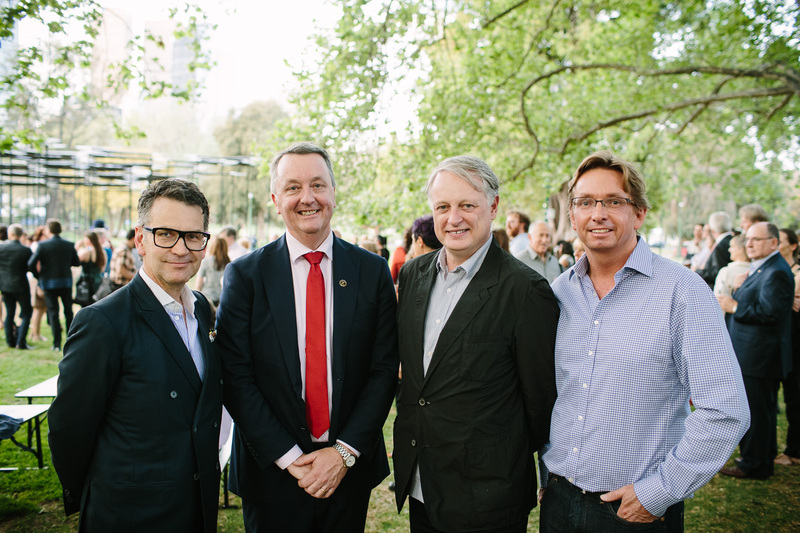 Robert Buckingham, Minister Martin Foley, Ben Evans and Toby Whitfield at MPavilion 2015 opening. Photo by Timothy Burgess. 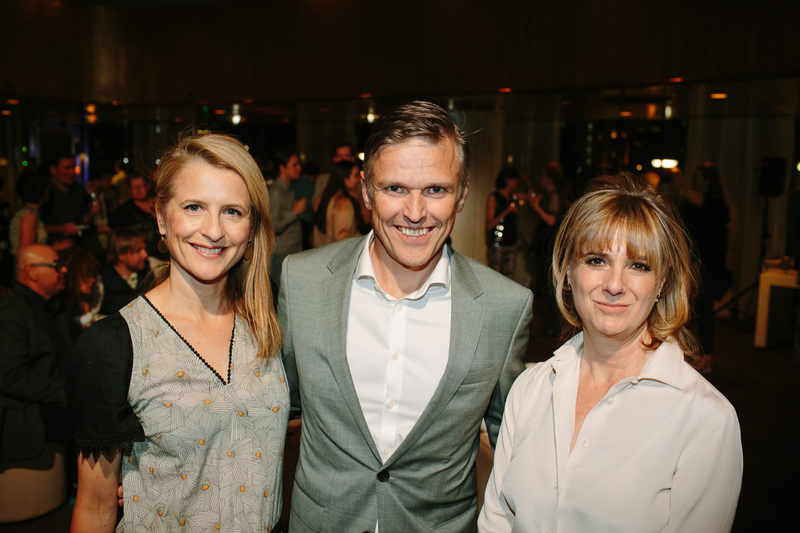 Kirsten Freeman, Andrew Abbott and Amanda Levete at MPavilion 2015 opening. Photo by Timothy Burgess. 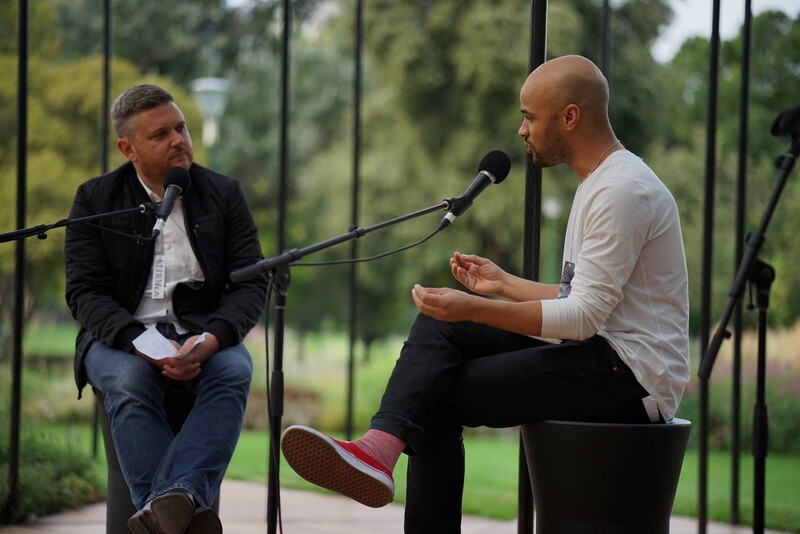 Simon Knott interviews Naomi Milgrom AO during MRelay Part 1: Habitat, 30 January 2016. 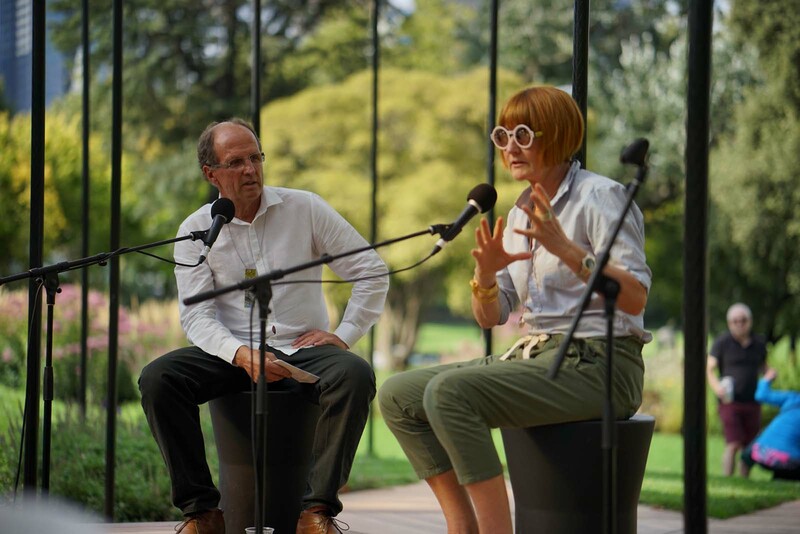 Professor Rob Adams AM interviews Mary Portas during MRelay Part 3: Transformation, 30 January 2016. Cameron Bruhn interviews Oluwaseyi Sosanya during MRelay Part 3: Transformation, 30 January 2016.